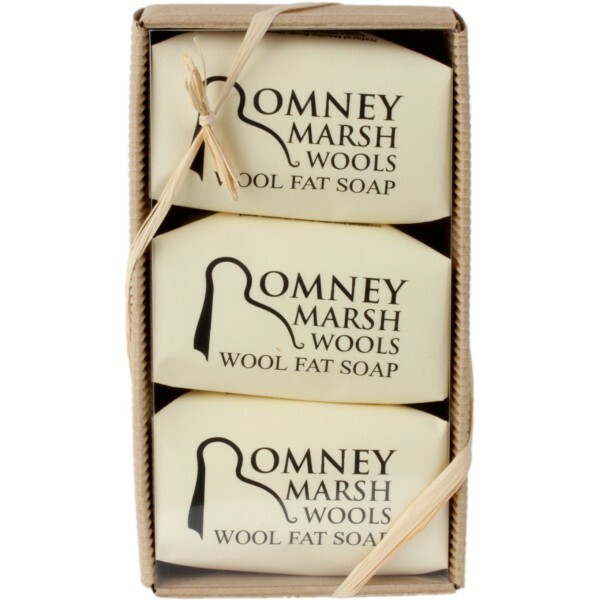 Three luxurious lanolin-rich soaps made from wool fat from the fleeces of the sheep. of our local supplier on Romney Marsh. 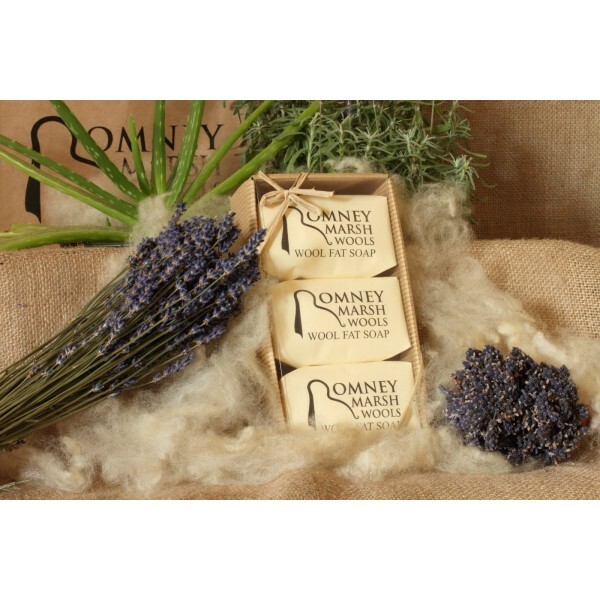 The natural lanolin is a delicate natural moisturiser that many people find effective against eczema. In a beautiful gift box. Lanolin is the natural occuring fat in wool. It has many beneficial attributes, is gentle, rich, soothing and helps keep skin hydrated. Used regularly it will keep skin soft and smooth. 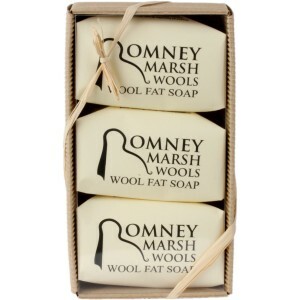 Only the very highest quality of ingredients, including the purest and most preservative free wool fat is used in our range and they are not tested on animals.